Rihanna is living up the single lady life! She’s not focusing her energy on Chris Brown or Drake and a source has said what she thinks of their newfound bromance! Rihanna is spending time touring with a “real” man like Eminem (Word) and not troubling herself with Chris, Drake or their new bromance. Gushamoonation has learned EXCLUSIVELY that Riri isn’t worried about Chris or Drake and she’s focusing solely on her tour. “She’s not worried about what Chris is doing or who he’s trying to sleep with tonight because it’s going to be somebody else tomorrow,” our source said. “She’s not worried about Drake and would wish he’d do the same,” the source continued. If you think Rihanna cares if Drake and Chris bad mouth her, then think again. Are you glad Rihanna isn’t concerning herself with Chris and Drake’s bromance? Yes, she’s better off without them!No, she’s not over them. Drake and Chris reconciled their bromance at the 2014 ESPY Awards with a hilarious skit, two years after their big brawl. Riri thinks it’s awesome that she had a part in bringing these two closer together in friendship. Our source even revealed what Rihanna hopes her two former flames are doing while they hang out! Rihanna remember am always here for you! Sister vs. sister! Serena and Venus Williams faced each other for the 25th time at the Rogers Cup semi-finals on Aug. 9. Despite a hard fought battle from both, Venus came out as the sister on top. 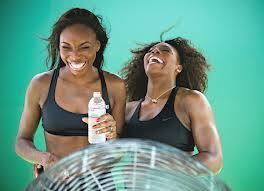 Venus Williams, 34, and Serena Williams, 32, take sibling rivalry to a whole new level. The sisters met up for the Rogers Cup semi-finals on Aug. 9 in Montreal. Venus walked away with the win and clinched her first victory against her sister in over five years. Congrats, Venus! Kylie Jenner now 17 years old on August 10th, may be the youngest Jenner, but she’s definitely one of the more stylish members of the Kardashian/Jenner clan! Her unique approach to beauty and style have made her a veritable teen icon, landing her jobs that no other teenager could dream of! 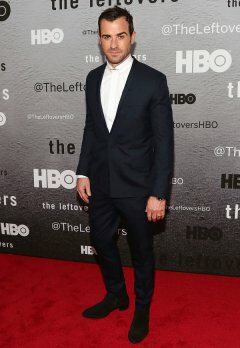 Waiting patiently for this beauty to clock 18, hehe..
Justin Theroux,now 43 years old on August 10, is one of Hollywood’s most versatile talents. An actor, director, screenwriter, and really, really, ridiculously good-looking, it’s no wonder that he managed to land Jennifer Aniston, 45, as his fiancée. Congrats!